Tarte Tarteist Pro – Review and Swatches! I always have room for another good quality, everyday-friendly eyeshadow palette with pretty packaging in my collection. So I was very happy when I could finally add Tarte Tartelette Pro to my collection in the later parts of 2017. I had been drooling for a while. Packaging looks pretty, simple and classy, and the shades are just perfect for everyday wear with plenty of options to deepen the look, or glam it up with some pretty metallic shades. I know I am slow with getting out reviews. It very often take me a month or two from the time I get the palette until a review goes live, but I just want to make proper use out of the palettes before I review them. I will never be as fast as the influences that get palettes in PR and get out a review in no time anyway. So since I can’t beat the fast reviewers I just take my time. I feel like I have to have used every single shade in each palette I review at least once on my eyes. I mean, how could I tell about how a palette performs if I haven’t seen it in action? This palette got plenty of action before I managed to put together this review, because it was in my monthly makeup bag in December (I think, or maybe January?). That means it has been used at least 5 times every week in four weeks when I get ready for work. I call that proper research if self-bragging is allowed. Lets just talk about the packaging for a moment because it deserves a mention. The cover is black soft touch with gold details. It feels luxurious and looks very timeless and classy. The inside is metallic gold high-shine finish with a big mirror. The shades smells like vanilla cookies. They actually smells exactly like the kind of cookies my grandmother used to serve when I was a kid. It brings back great memories, but I never really liked those cookies, I just ate them because I was a kid and wanted sugar. But before I go into how the shades performed, maybe you would like to get to the interesting part first and see the swatches? Here are the first and second row. First row have some nice warm toned browns with a rich copper in the end. The second row have some cool toned mauve with a pale gold to finish of the row. The third row has got some red and pink tones with a metallic chocolate brown in the end, and the last row has some nice browns and a beautiful brown to green metallic duo-chrome. I really like the way this palette is arranged. Each row goes from light to dark with colors that compliments each other in color and tone, with a matching metallic to finish each row. The selection of shades is also really good. There are plenty of base shades, crease shades and darker shades, which makes it so so easy to create a quick look before work. The darker shades and the metallics also make it super easy to go dark and dramatic too. Overall the palette is just super versatile! But how is the quality then? At first I was a bit skeptical I have to admit. I already have, tried and enjoyed the Tarte Tartelette palette, so I knew a bit what to expect from Tarte eyeshadows, but these guys were so powdery! The shades have a lot of kick-back and they are quite dusty. I was a bit afraid that they would look dry and chalky on the eyes because of this quality. Fortunately they looked good on the eyes. They are quite pigmented, even the palest shade pack a punch, and they blend like an absolute dream. Very easy to work with in that manner. However, since they seem to be very loosely pressed and kick up a lot of product I found that I easily got fallout. Very necessary to kick off the brush every time. I am not very good at remembering that though, so it got messy sometimes. The metallic shades are pigmented as well, but they are a bit on the denser and dryer side than what my absolute preference is. They work absolutely fine, I just like my metallics to be very buttery and smooth. Wear time was good but not exceptional. After a 8 hour work day they would have faded significantly (keep in mind I have a very physical job where I spend a lot of time outside in any kind of weather in the arctic, so my job is kind of rough on makeup compared to an office-desk job). I don’t think that is too bad, and they did not crease they just faded away nicely. But I do have cheaper alternatives that last all day until I decide to remove it so like I said, not exceptional. So obviously there are both good and bad qualities of this palette. If you are annoyed by loosely pressed shadow, kickback and fallout then just stay away from this. But the good qualities like nice selection, pretty packaging, pigmentation and blend-ability does enough for me to enjoy this palette. I think the impression would be a lot higher if they were a little bit better pressed though, but it does get the job done. If you are not bothered by kickback I would recommend with no doubt, but if you find that annoying I am sure there are better options for you out there. For me personally it was a good palette. Thanks for reading! If you have the palette yourself I would love to hear your opinion about it. Makeup and Beauty Hauls in March 2018! 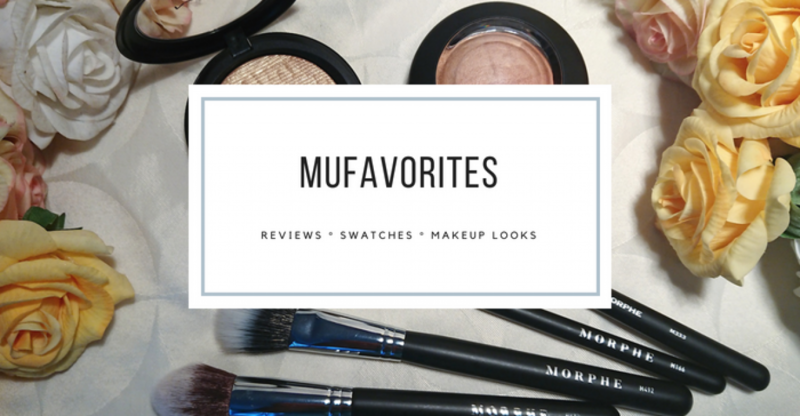 Whats in my makeup bag – April 2018! Thank you so much love! 🙂 I really like the berries too! Your swatches are gorgeous!! and I think it’s good that you take your time for a review, I think it makes your review more reliable! Great post. I never tried this palette before and now I think I might give it a go. It has some really pretty colors. Thanks for the swatches. This is one of my favorites palettes. Yes it has a lot of kick back but I’m usually really gentle when I dip my brush. Im in love with all the mattes!